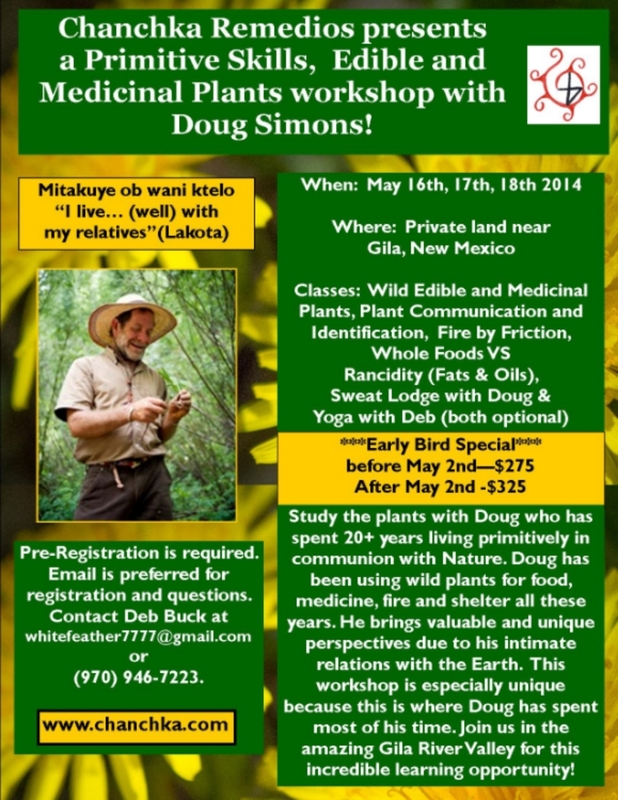 Join us for this epic three day workshop on a beautiful piece of private land where the Gila River flows. Come explore the incredible diversity of plants, animals and people as we deepen our relationships with the natural world and take our learning to the next step. This very special land is where Doug has spent the majority of his time building relationships with the plant people. Early Bird Registration ends May 2nd! This is a 3 day camping adventure! Food is not included in the cost. Scroll to the bottom for registration details! Single Day Participation is also welcome. To register please contact Deb Buck at whitefeather7777@gmail.com or call (970) 946-7223.